Join us on twitter for the next in our series of live 'Family Business' discussions, this time concentrating on the topic of legacy. Our next #FamilyBizChat will be on the topic of legacy with views, insights and thought leadership on the topic from those that have been through the process, are beginning the conversation and those that advise families every step of the way. 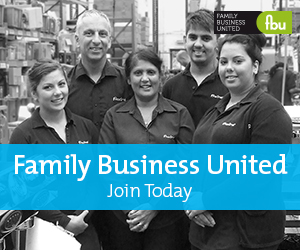 Our #FamilyBizChat series is aimed at the entire family business sector, from the small to the large irrespective of sector, geographical location or generation involved. Family firms often feel that they are alone with many family business owners telling us that they feel isolated with nobody to talk to, wrongly assuming that nobody has dealt with the challenges that they are facing. We want to provide a fourm to share ideas and help families deal with their day-to-day issues and concerns and are tackling succession first and foremost as this is the are that many struggle - some afraid to broach the subject to the older generation, some not knowing how to begin the conversation and others not sure what the process actually entails. Sian Steele, partner and head of family business at PwC will be sharing her thoughts on the topic and our discussion will cover a broad range of topics, from creating a legacy, understanding what a legacy means to a family business, how to have a meaningful conversation about legacy within the family and how you go about the practical steps of putting a framework in place to create and maintain the lgeacy going forward. We would love you to join the debate and share your views, insights and experiences. Please follow @FamilyBizPaul on twitter who will be leading this debate and use the hashtag #FamilyBizChat with your tweets on the day to join the conversation. Join us from 2-3pm on Friday 16 February for an engaging discussion about legacy and the family business.